I’ve just realised that I’m heading off home to Brisbane for a visit in less than 2 weeks (umm 11 days!) … and since I haven’t been there since December, I’ve missed a few of my friend’s babies/kids birthdays, a friend has just popped out a new bubba, and a few other birthdays are coming up in next couple of months that I want to leave some gifts for! Since it’s “winter” there in Brisbane at the moment (I highlight ‘winter’ as really, people wear beanies, scarves, coats & boots for the fashion not the weather)… I visited my fave yarn stores down in Baratashvili underpass, grabbed my crochet hooks and set about making some crochet beanies for some presents! These are quick and easy and are so cute! 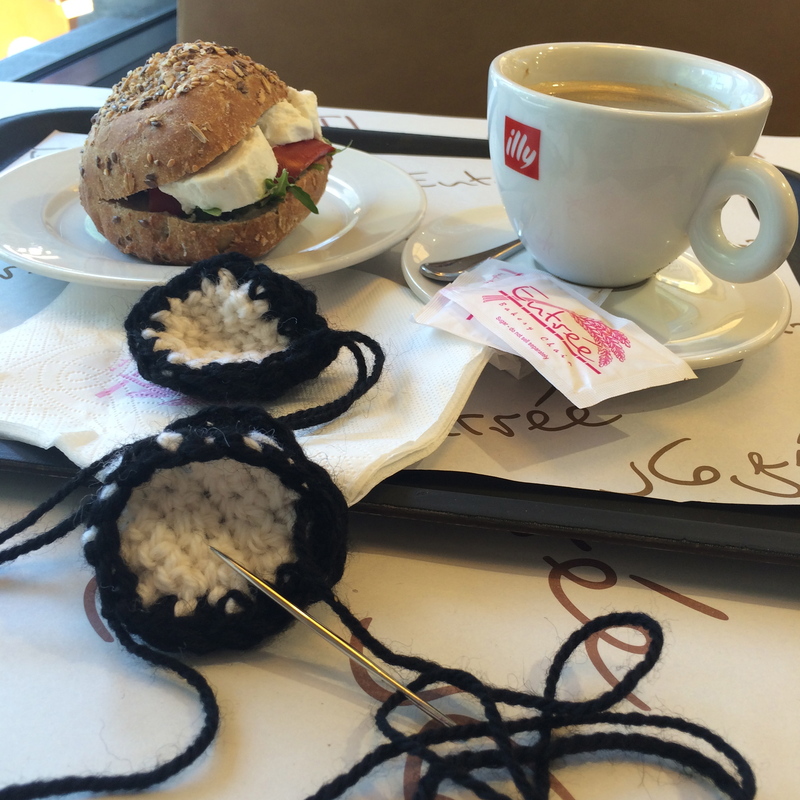 I use the awesome patterns from Repeat Crafter Me‘s blog – she not only creates awesomely cute beanies/hats but if I get time I’ll try her little baby booties pattern too! 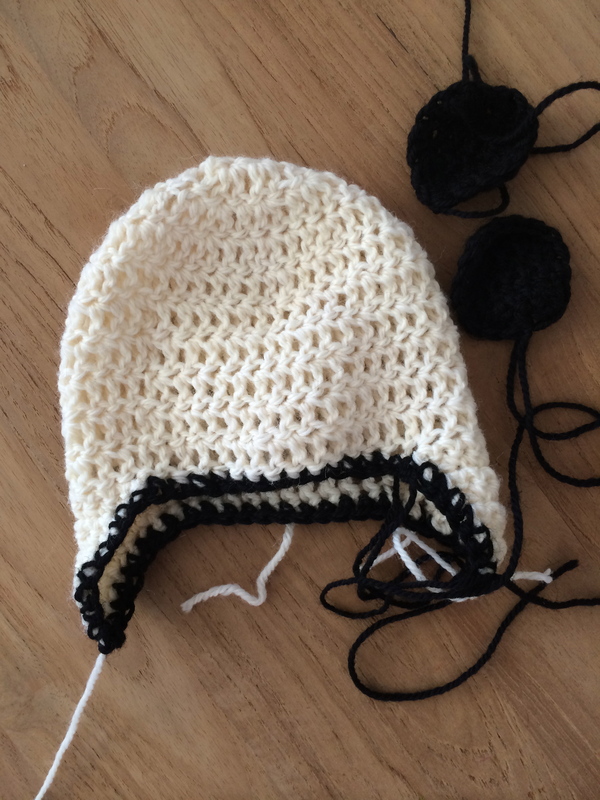 I’ve almost finished a little Moo Cow hat/beanie for the little newborn. I think I’ll have to make one for my little man too, super cute! It was a babysitter day today (first time in 2 weeks, sighhhh) so I went and sat in my local cafe and finished off the ears while having a coffee. Bliss. 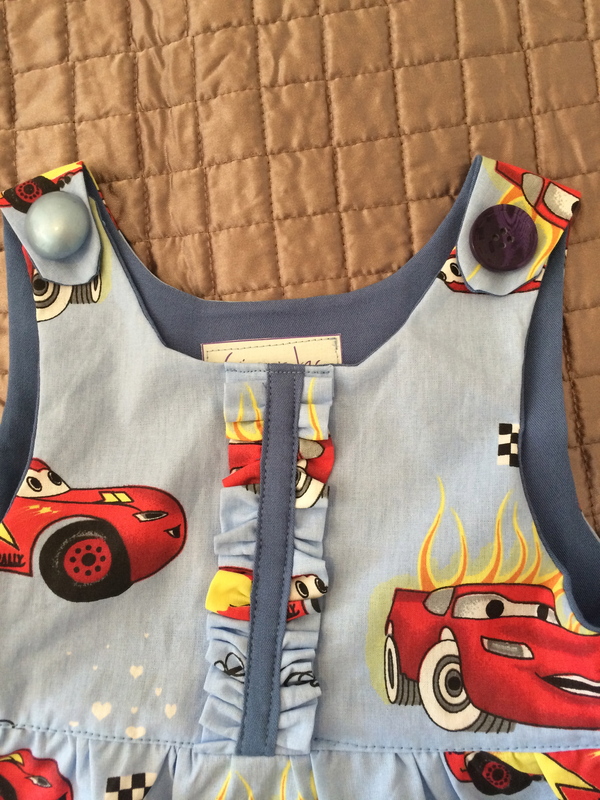 I was also asked by one of my friends here in Tbilisi to make a little dress for her niece – she really wanted to give her niece a dress in a more ‘boy’ themed fabric – what a great project! This is the 2nd dress I’ve ever made for a little girl, so was excited to give it a go. I used the Lilybird Studio’s Tianna Dress, after seeing a friend’s pic on Instagram! 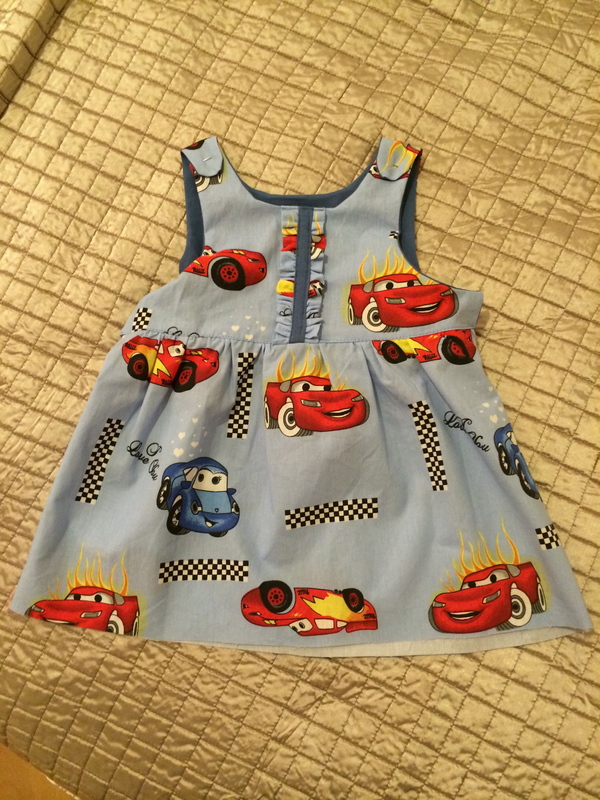 We used “Cars” fabric (as in the movie Cars) – it’s actually a sheeting fabric, but there are limited choices of kids fabrics (*That I have found) here in the stores – its predominately sheeting or flannelette! Anyhow, all’s left to do is the buttons (of which I have never done before…. what?!?!!). Quite impressed with myself, even if the gathering is a little bit (massively) un-even! On my selfish-sewing front, I’ve almost finished a really simple self-drafted pleated skirt, have made another Sorbetto tank (which I forgot to pre-wash the fabric for and now its a wee bit tight under the arms… grrrr! ), and have printed out the Washi Dress pattern… I also want to make a maxi version of sleeveless moneta dress (just picked up some gorgeous pink jersey fabric today) – all before I leave! EEEEK I’m going to be busy, or not sleep at all for the next 10 days! !